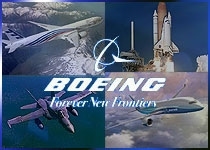 GENEVA, April 2012 /PRNewswire/ -- Boeing (NYSE: BA), Airbus and Embraer on March 22nd signed a memorandum of understanding to work together on the development of drop-in, affordable aviation biofuels. The three leading airframe manufacturers agreed to seek collaborative opportunities to speak in unity to government, biofuel producers and other key stakeholders to support, promote and accelerate the availability of sustainable new jet fuel sources. "There are times to compete and there are times to cooperate," said Jim Albaugh. "Two of the biggest threats to our industry are the price of oil and the impact of commercial air travel on our environment. By working with Airbus and Embraer on sustainable biofuels, we can accelerate their availability and reduce our industry's impacts on the planet we share." "We've achieved a lot in the last ten years in reducing our industry's CO2 footprint - a 45 percent traffic growth with only three percent more fuel consumption," said Tom Enders. "The production and use of sustainable quantities of aviation biofuels is key to meeting our industry's ambitious CO2 reduction targets and we are helping to do this through Research and Technology our expanding network of worldwide value chains and supporting the EU commission towards its target of four percent of biofuel for aviation by 2020." "We are all committed to take a leading role in the development of technology programs that will facilitate aviation biofuels development and actual application faster than if we were doing it independently," said Paulo Cesar Silva. "Few people know that Brazil's well known automotive biofuels program started within our aeronautical research community, back in the seventies, and we will keep on making history." The collaboration agreement supports the industry's multi-pronged approach to continuously reduce the industry's carbon emissions. Continuous innovation, spurred by competitive market dynamics that push each manufacturer to continuously improve product performance, and air traffic modernization, are other critical elements to achieving carbon-neutral growth beyond 2020 and halving industry emissions by 2050 based on 2005 levels. "Having these three aviation leaders set aside their competitive differences and work together in support of biofuel development, underscores the importance and focus the industry is placing on sustainable practices," said ATAG Executive Director Paul Steele. "Through these types of broad industry collaboration agreements, aviation is doing all it can to drive measurable reductions in carbon emissions, while continuing to provide strong global economic and social value."